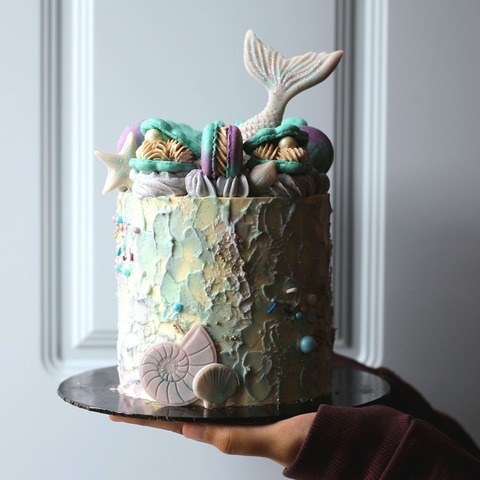 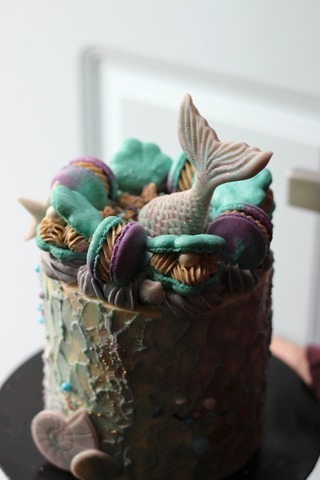 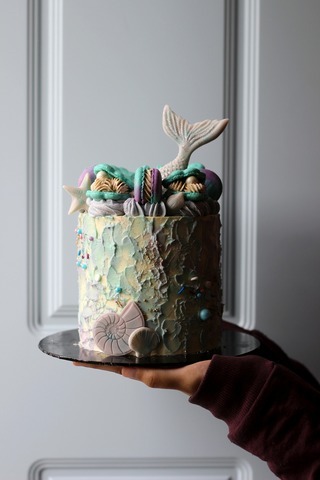 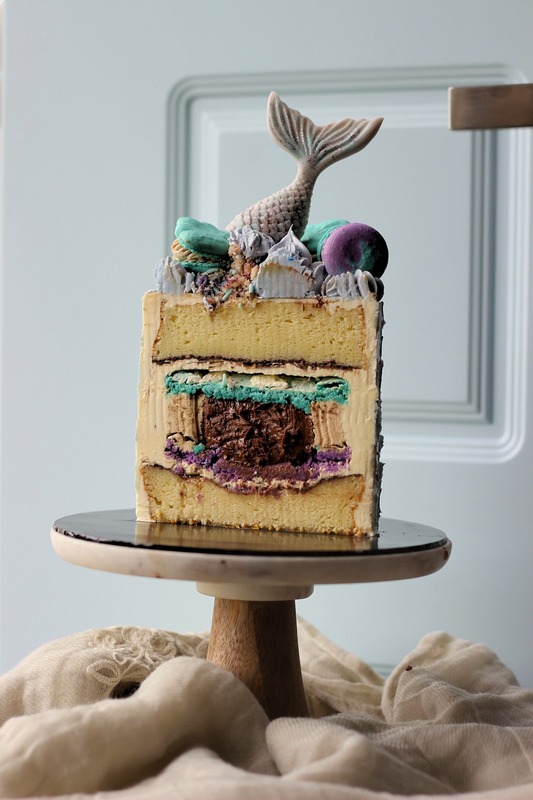 "Under The Sea Fairytale" is a layers of Greek Yogurt Cake with a spread of ganache & a layer of roasted Almond flake (Almond Joy Cake). Then our giant macaroon is filled with a dollop of Nutella and smooth hazelnut buttercream, we couldn't try to keep this perfect pair apart and finished with a smooth coating of buttercream. Final touches of watercolor & impasto texture, and a touch of fairytale. P.S : Colour & Design may slightly vary. *Strictly no custom design/colour or make any flavour/theme changes for this edition.